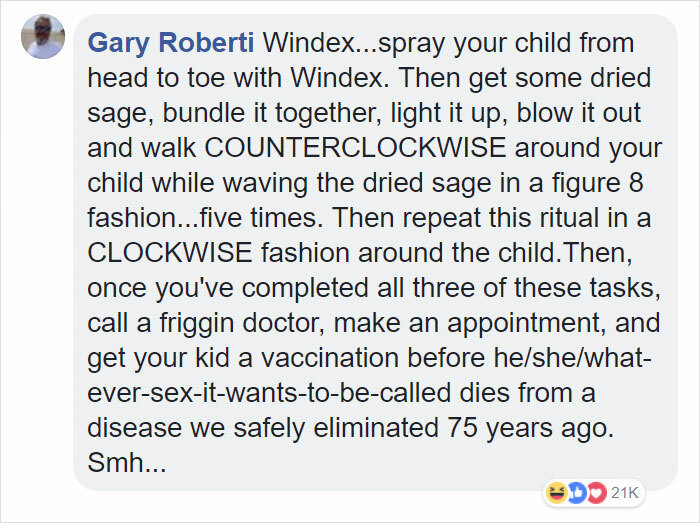 Having recently run a post about an enterprising 15-year-old looking to protect himself from preventable diseases after his parents let him down, now we have the other side of the coin. 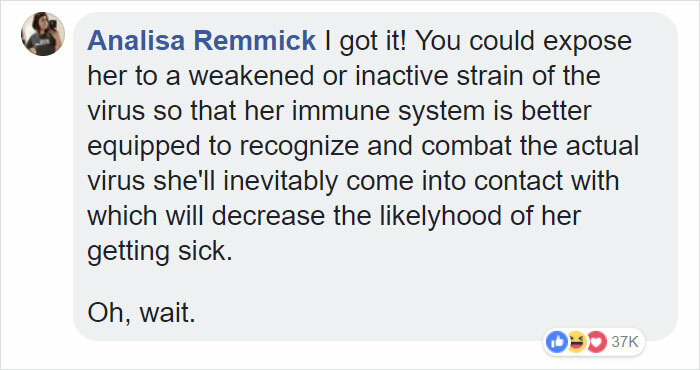 In the midst of a public health emergency in Washington state, in an area with a higher-than-average percentage of vaccine exemptions (what a coincidence! 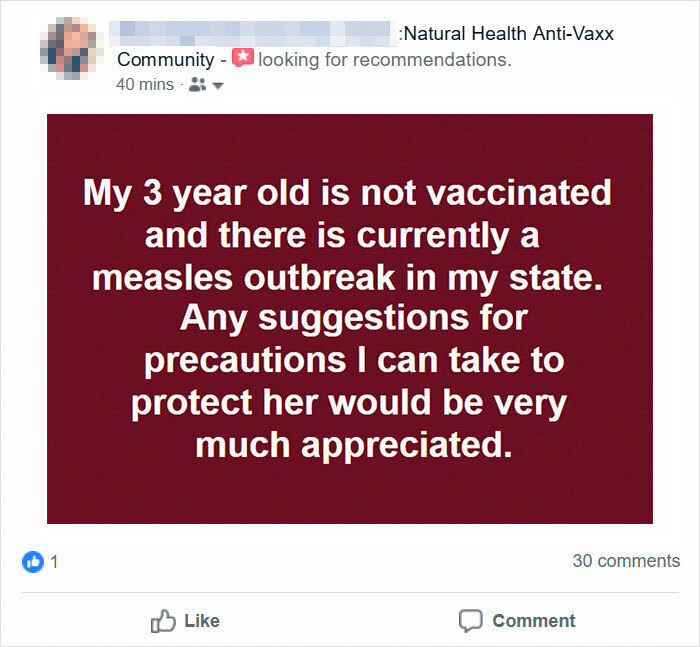 ), one anti-vaxx mom has looked for advice on how to protect her 3-year-old from the measles outbreak. 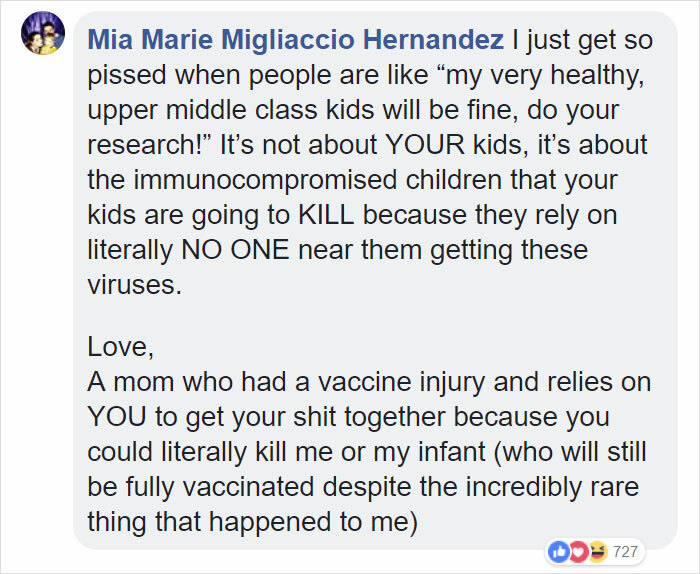 Needless to say, the mom certainly got a response as the post was widely shared, and some of the suggestions were hilarious, if a little dark at times. 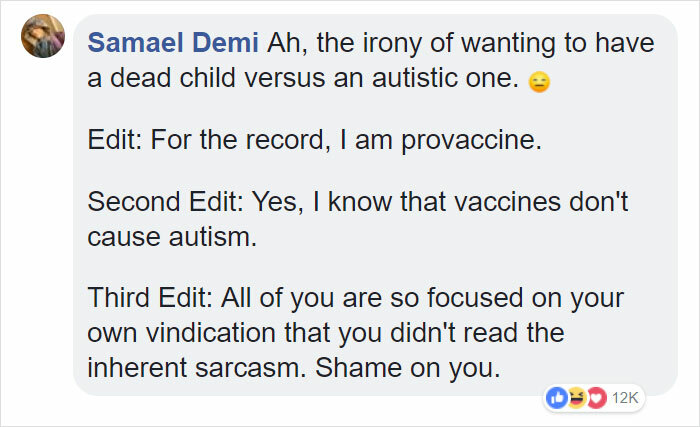 Because if people refuse to listen to data and evidence and choose to endanger their children with their stubbornness, what else can you do? Scroll down below for a cathartic dose of black humor, and let us know what you think in the comments.